As I mentioned in my sneak peek post (um, a LONG time ago! 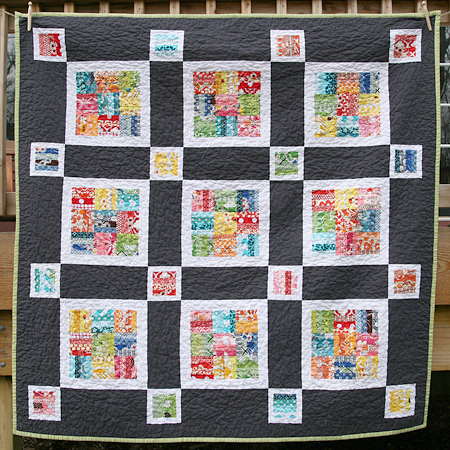 ), this quilt is inspired by a beautiful quilt by Rita of Red Pepper Quilts. Her work is simply amazing. This quilt ended up being a 64" square which I think will be perfect to fit our family for lunches in the park this Spring. The binding is a stripe by Lizzy House Red Letter Day. I know I just used that for a binding, but I had a lot and I like it. :-P Although the sashing looks black, it's really Kona Charcoal. And the prints are just a rainbow selection of my favorites. 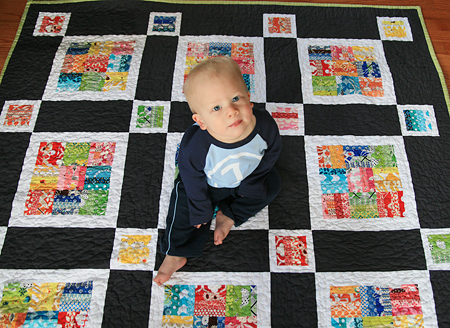 The back is 9 large squares using giant blocks of colors from the front. 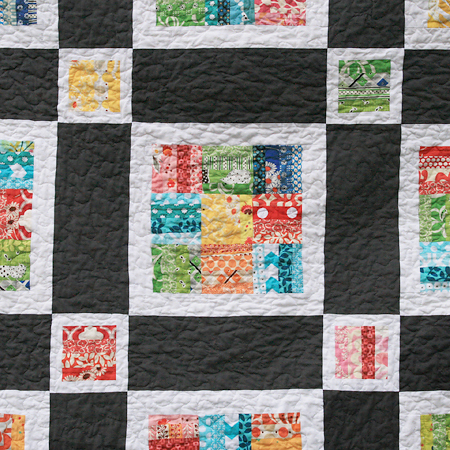 This part was a bit painful for me as I used up some of my favorite out of print fabrics. But I kept telling myself that I bought the fabric to use, not to hoard. So use it! I quilted it using free motion and used Warm and Natural batting. 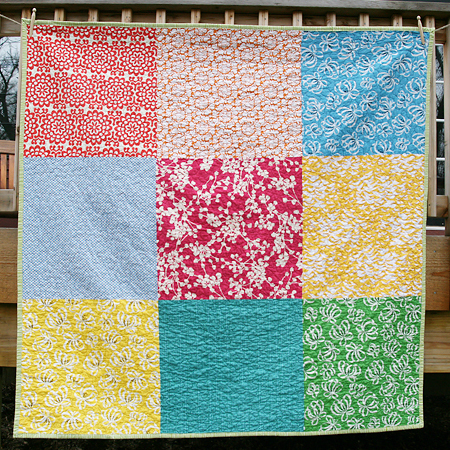 I prefer Dream Cotton Request Loft batting and even though it's more costly, I think I will go back to using that. It's more lightweight and I feel like it's just a better quality. 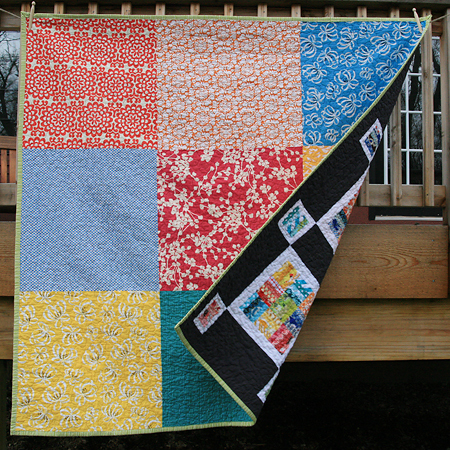 So now I'm moving on to my quilting bee quilt, my Dolce quilt and my Hope Valley quilt. Always more in the pipeline than coming out of it! 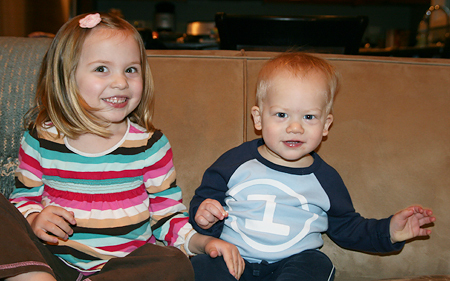 On a side note (but more importantly), today my little man is turning 1. Happy Birthday Kyler!